We will start with Step Seven. A Divine Complement is someone who shows you the exact mirror of where you are living. This person could be anyone at any given time the Higher Self sends to mirror your exact image. Often times it reflects our negative vibrations, while other times you are blessed with seeing the beauty that is you. A complement could come in and out of one’s life, or stay around for a while completing many lessons for both parties involved. This would be a very good reason why marriages on Earth shift all the time. People change with age and move on. Many times this does not happen together, and so two partners end up going their separate ways and rightly so in this kind of environment. Remember, relationships on Earth are in preparation for moving you to a higher level of being. A Soul Mate is one who is previously set up before coming into incarnation. Your cycle of life will take many turns, and at the perfect time a Soul Mate will enter to teach you in a strong way about yourself. Many would like to think they are married with a Soul Mate, but truly not as many as would like to be are living this relationship. It is a special meeting, and one that will most likely alter your life. This could be positive or negative, depending on where you stand in Self. Also, a Soul Mate in this lifetime could be different than in another lifetime. There are instances when one travels in several lifetimes together. 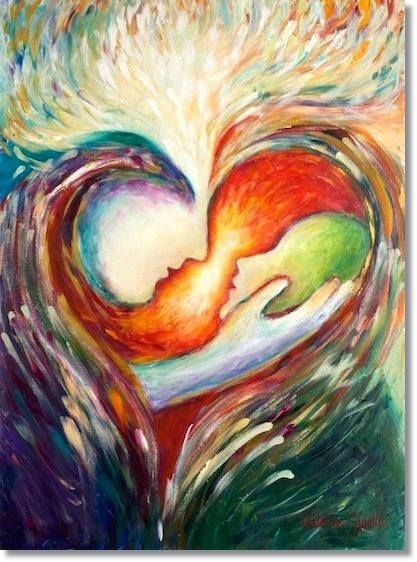 Your Soul Family is quite large, and for purposes of learning at times you may work or set up a connection with a Soul Mate from another Soul Family. So in that instance they would be your Soul Mate. Also, a Soul Mate could be the exact gender or opposite, depending on what you came to experience. Oftentimes, a romantic relationship is not in the life plan, because everything at this level is about clearing up with Self. 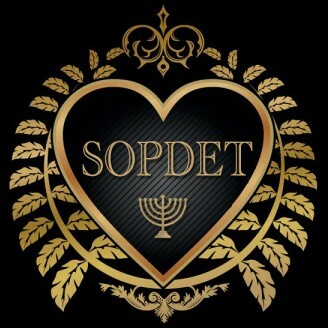 We have spent some lives in dear Soul Mate relationships, while others are meant for the Soul’s study and advancement. A Divine Expression, in short, is one that comes in and makes a large impression on one’s life. If one is not moving in the exact direction intended, a Divine Expression would move in to bring out the deepest inner angst and leave you pondering the facts of life. This is good, as the intention of a Divine Expression is exactly that. It will feel not quite pleasant in a lot of instances. But to open a blind eye, Spirit will take on many forms to assist. At this time many beings are experiencing a Divine Expression simply to move them forward. They are actually a gift from your guidance and one to take heed so the truth can face you head on. So many try to make something work that is not in the cards for their enlightenment, and this is where trust comes in. If you feel strong about a being at this time, you will want to consider that your Twin Ray is hanging around, and this is actually what you are feeling. A Twin Mate is part of a group of beings you are connected to for Earth, Solar and Galactic work. A Twin Mate is someone not usually linked to romantic liaisons, as these souls are a connection of a like-minded unit of servers. All are connected to at least 144 Twin Mates. In the paradigm of creation, the numerical value of 144 makes for the perfection of manifestation, as it works on a higher frequency of energy. In the Galactic Core, all Twin Mates were set up together. Some are here on Earth, and some are in the Galaxy doing other work. When we say we are one and the same it is because units of congregated Light do not separate themselves from one another. We are indeed together, for many reasons, throughout our experiences. This connection will continue until we complete this cycle of creation into the birth of the new Millenium. Here we will advance and the units move and work with different wavelengths of light. So, together in the birthing, we re-evaluate and shift energetically our streams of Light depending on where everyone resides in consciousness. Some of your Twin Mates are not waking up as yet, but we hope all do, as time will soon run out for the opportunity at hand. As you connect hearts with many beings, several will stand out, and the recognition of a Twin Mate will show itself. A Twin Soul is a very like vibrational frequency. Each individual has twelve Twin Souls. They are part of the Twin Mate grouping, however these twelve are extremely close to your earthwork. Some of you will be blessed to have a few of these beings close to you on earth. You will feel as if you have known and worked with one another forever, and truly you have. This is likened to the twelve Ascended Masters you will link up to on your climb to the Christ Light. A very few of you are Twin Souls to the twelve Masters that are on your line-up awaiting your arrival. This is for instructing purposes, as you are a teacher of magnitude and your energy is linked to this consciousness of Light. There have been many blessed romantic encounters with this group of beings. The ratio of male/female on each grouping is dependent on lessons and/or experiences one needs to attain for advancement into the higher realms of light. A Twin Flame is a being you have worked extremely closely with from the Galaxy on down into a third dimensional life form. This was set up long ago and you have kept the same Twin Flames for eons. There are seven Twin Flames you are connected to. Besides the Twin Ray, this will be your closest bond to an entity. Whichever level of light one is at, you will have the ability to reconnect with the Mighty Seven. It will assist to further your own enlightenment. These are integrated before reaching the level of the Twin Ray. Needless to say that many Twin Flame relationships are of great remembrance and love to all. They are also both genders. For instance, this channel has three female, and four male Twin Flames. Three twin flames are on earth; four are in the upper dimensions. 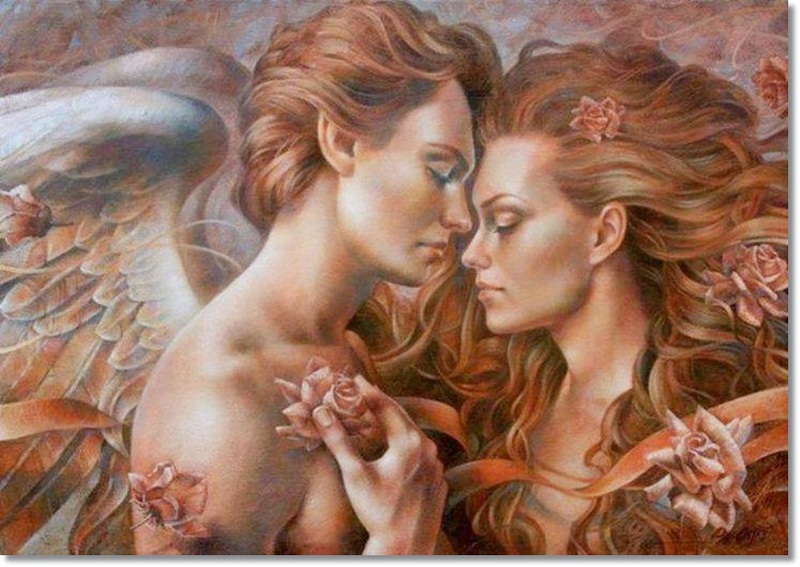 There is a special bond between Twin Flames, and you will forever be connected at the heart, as one does not ever forget the special love a Twin Flame will share. It moves beyond human sexuality and into the purity of devotion for working together through these cycles. You have been through much, and after the Twin Ray split, the first relationship one enters into is with a Twin Flame. At the level we split, there was not yet time to learn jealousy, we just created and experienced in the love of our Source. We knew there would come a time when reunion would once again join our beloved one’s heart forever. I can honestly tell you there are sad memories from this parting of two hearts which all will clear before moving into the divine embrace of a Twin Ray. The Twin Ray is the ultimate. There is no need to look further for source as this is experienced with one another. The joy at this time as we have prepared long for this event is overwhelming even for the many Ascended Masters awaiting this reunion. You are the same Godspark that came from the loving embrace of Mother/Father God. It is quite a gift that we are coming into harmony with the one other half of ourselves. There is much disbelief with this event, and I can only tell you that it is well worth the wait. For those who refuse to accept, you only prolong your advancement, as many ascensions are tied into the reunification with the Twin Ray. After working to reconnect and taking the time every day and night to complete the energy work necessary, your Twin Ray is then known as the Consort. Both of your missions are one and the same. The responsibility is held equally by both of you. At this point you have proven yourself worthy of the title, as together you have both conquered the densities to return as one love, one life, one entity. Each person will have a unique situation, and therefore all Twin Ray couplings will occur differently, as there is closure necessary from many experiences learned by both parties. In addition to ascending, the Twin Ray merge will take a daily conscious effort. So many of you feel that deep inner knowing, but have not been able to express this as the earth consciousness has not allowed for divine relationships in a long time. There have been some instances when you have traveled together on earth. Some Twin Rays of earth partners are on a Galactic Star; or perhaps your Twin Ray is a universal being. The last scenario is the rarest. Also, some of you will electromagnetically connect with the perfect mate here already on earth. This would be a Soul Mate, Twin Flame, or Twin Soul. Some Twin Rays in the upper dimensions are not ready to reconnect. This comes only by the approval of one’s Higher Self. So many different situations, yet each one is perfect for the individual. Whichever level you intend to reconnect with, there will be shifts in your life, and Spirit will not give you what you cannot handle. For instance, if one is happily married on Earth, you can commit to a Twin Ray at an energetic level while working here. This for the time being is perfect. No Twin Ray will interrupt a harmonious environment. This being only wants the highest and best and is willing to wait for Divine time. There are many classes that will educate on this subject. I would encourage one to take advantage of the gift and learn about this wondrous Twin Ray information. There are many Masters who have contacted and been in the reconnective process for over a year now , I being one of these Masters. We are learning first-hand, as this is quite an event, and together we are creating the most effective way to make this happen. Because there has been so much preparation, all are ready to move. Finally, at this time, many are willing to accept the information as truly we are all as one. To find out more on the subject, trust your intuition and meditate about the process. Ask if you are one to make the merging of the dimensions happen with your Twin Ray. If you have been feeling emotional and that old familiar energy is around you, this could be your Twin Ray coming in from the higher realms attempting to contact you. Won’t you sit and allow this energy to come through. Copyright © ᏚᎤᏢ♰ᎠᎬᎢ All Rights Reserved.